You can use this page to clear the cache engine. After you make some changes on template files, you should clear cached files so that your website can update all new template files. 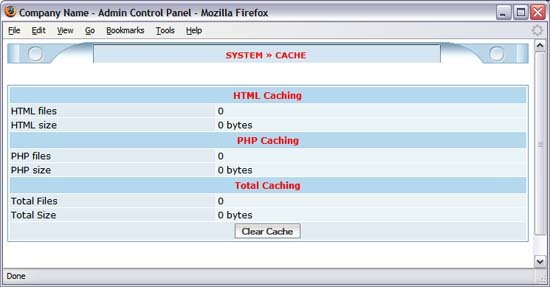 You can also go to ACP >> Setting page and turn on/off the cache engine.